Passion inspires great artwork, especially in fans. That’s why we let fan creators loose with 3Doodlers for a project of their choosing. Previously, we recorded Gina B’s initial impressions of the 3Doodler and the early stages of her project. Now, we take a look at the finished product! Gina B wound up executing her vision of believably organic horns, complete with a headband to make them easily wearable. By mixing two shades of plastic she gave them a natural look and a more pronounced texture. She’s quite pleased with the outcome, but found that her project presented some unique challenges. 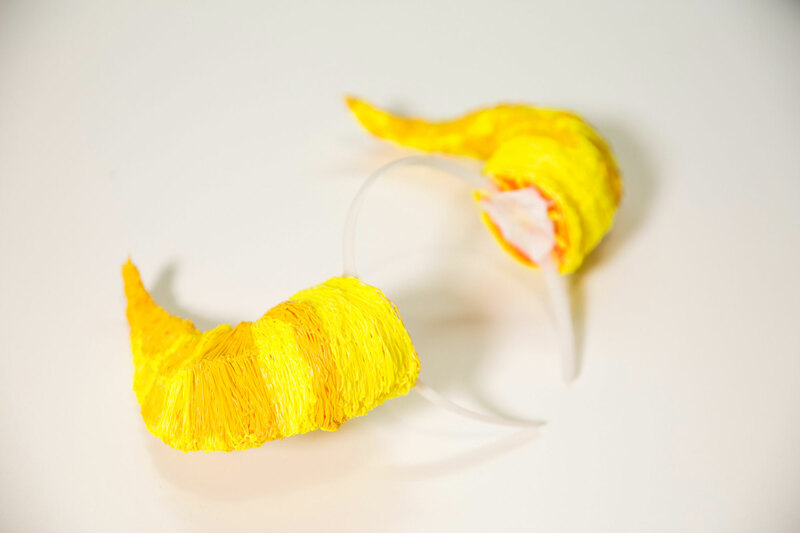 "If you tinker about with the 3Doodler for a couple of trial pieces then you’ll feel a lot more confident when you venture out and try something on your own." That unintentional change in the first horn meant that the better execution the second time was actually a drawback. So Gina got creative. 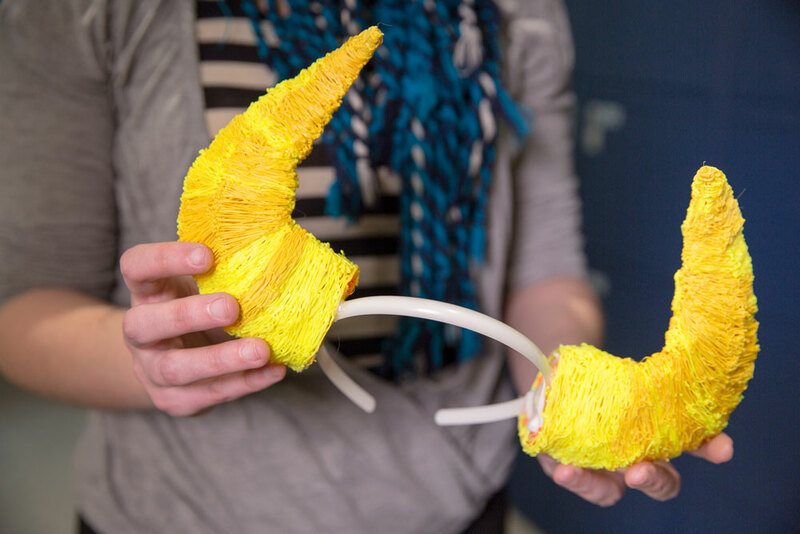 Gina experimented with different heat settings and was able to make the second horn malleable enough in the right sections to give it the same curve as its partner. 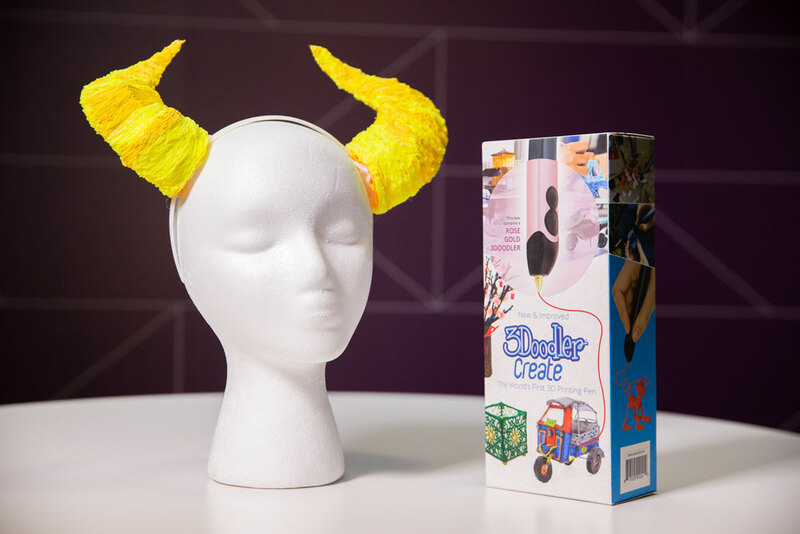 A hot glue gun and some fabric to increase the surface area allowed her to easily attach the horns to a headband, making for a ready-to wear accessory for a horned character. Making, modifying and attaching the second horn took her two and a half hours, for a total project time of five hours. Gina says she enjoyed exploring how to create a 3Dimensional shape that was largely freehand. In the future, she will look into using the 3Doodler in more fine-detailing roles.